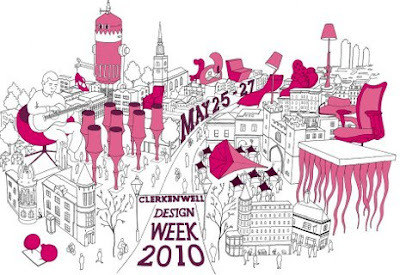 It's been busy up in Clerkenwell this week with studios opening their doors for the 2010 Clerkenwell Design Week. Last day is tomorrow so you have still got time to take a look around. 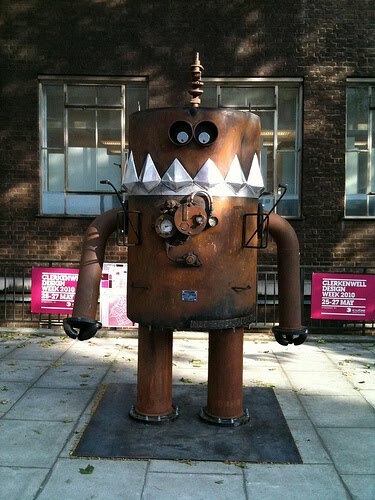 Highlights for us include the Flexible Love expanding paper chair and Mechanical Alchemists fantastic robot which can been found on Clerkenwell Road.